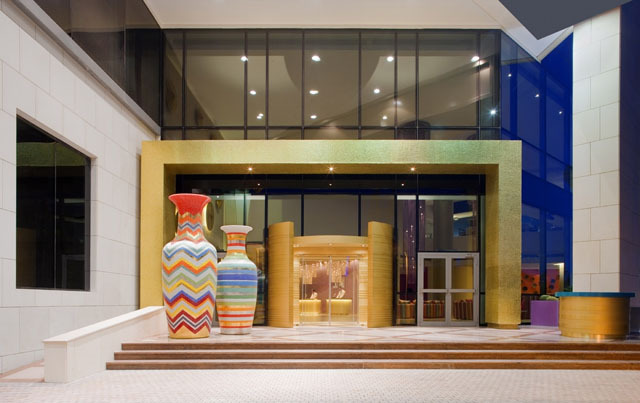 After the great success of Hotel Missoni in Edinburgh, the collaboration between the fashion house and the Rezidor Hotel Group has created a new luxurious hotel in Kuwait. 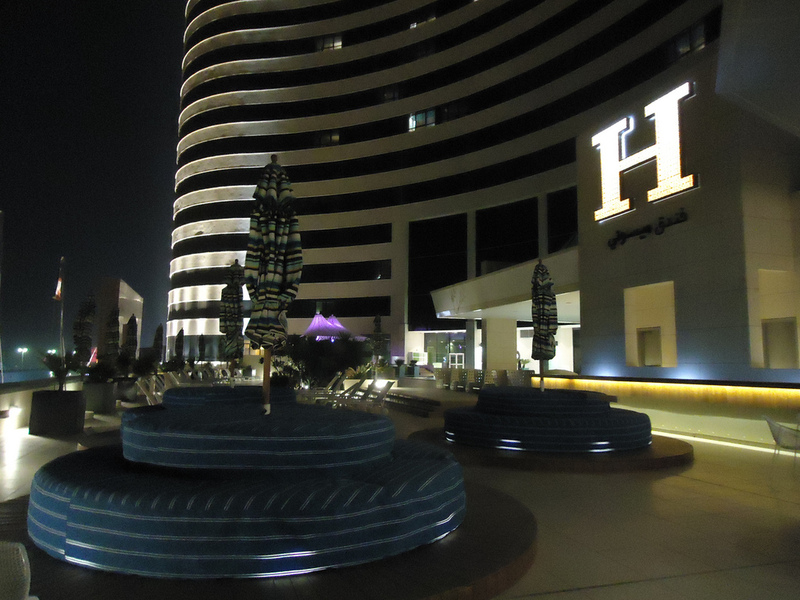 Hotel Missoni in Kuwait opened its doors in March 2011, in a unique setting: At the Symphony Center along the Arabian Gulf Roadin Salmiya, the most famous shopping district of the city. 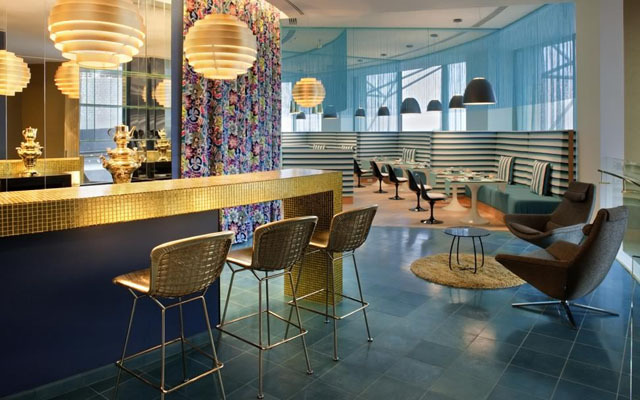 The usual Arab opulence merges with the style made in Italy, thanks to the collaboration between Rosita Missoni and the famous Italian designer Thun Mattheo. 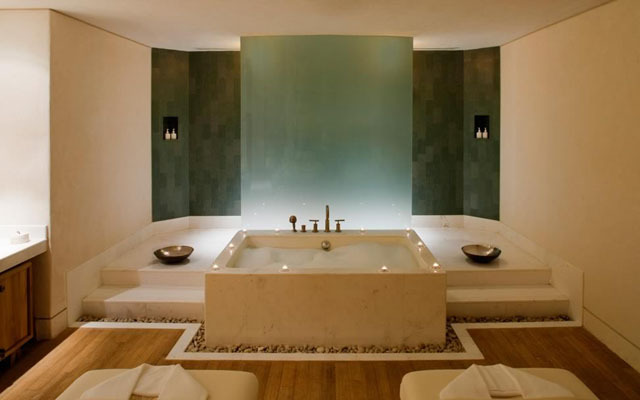 The 169 rooms and suites embody the simplicity, elegance and warmth of Italy. 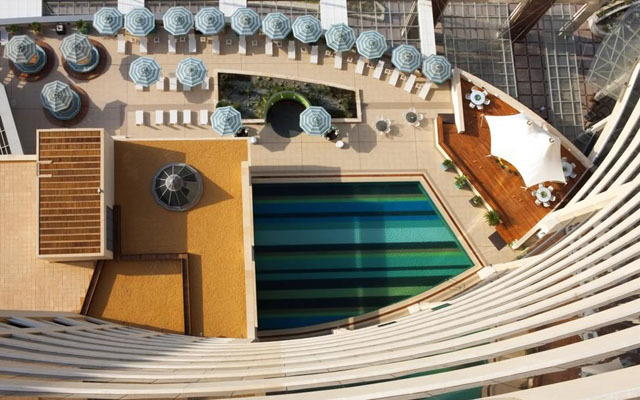 All rooms and suites have stunning views over the Arabian Gulf. 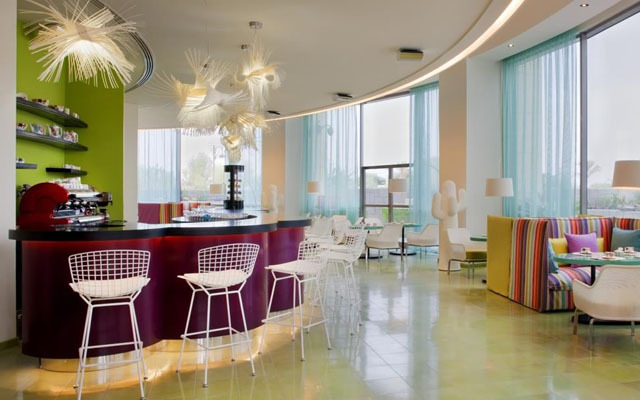 This 5-star hotel offers its guests the best Italian cuisine. In the restaurant “Kitchen” you can choose the best dishes and regional specialties of the Bel Paese, prepared only with the finest ingredients. Those who wish to try the most original flavors in “Choco Café“, which is a coffee cuisine that combines coffee and chocolate drinks, fresh pastries and savory dishes. 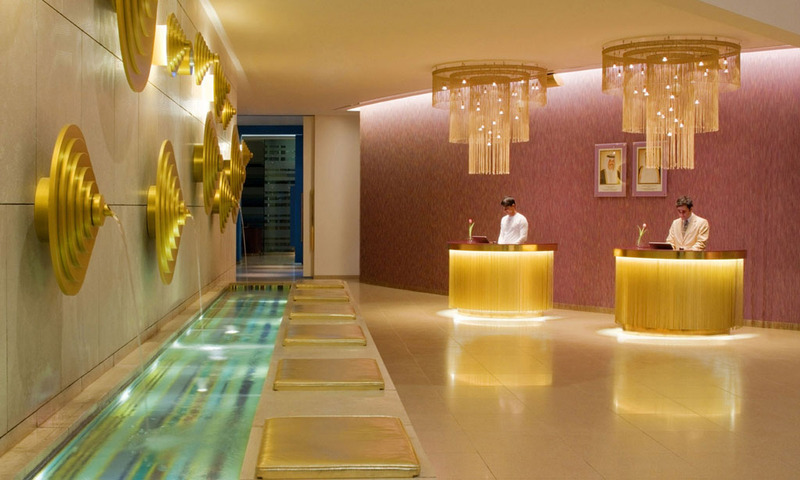 During the day you can relax by the pool, enjoy a beauty treatment in the spa or play golf. 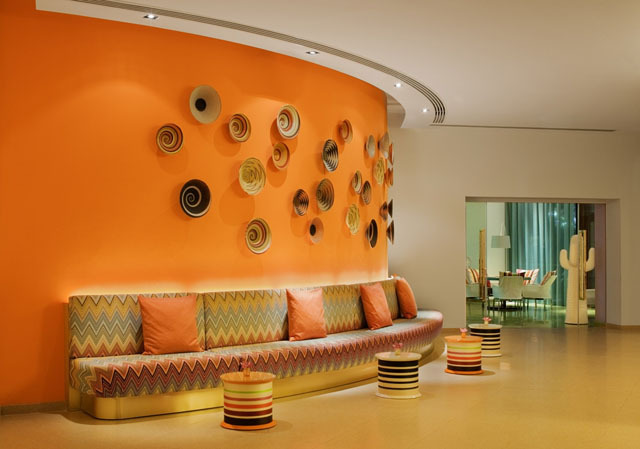 If you want a holiday in fashion and luxury, the Hotel Missoni in Kuwait is the ultimate of glamorous destinations. Next articleSardinia has the best beaches in the world, true?